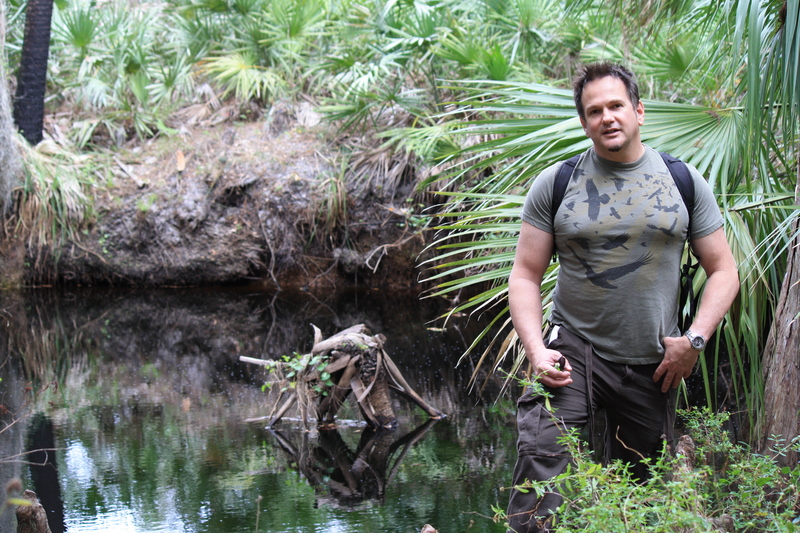 During our recent trip to Jonathan Dickinson, our exploration centered on the Florida Trail and the Kitching Creek portions, which can lead you to Riverbend Park and Indiantown Road, to the south. It was a perfect day for such an investigation — overcast and lonely (encountering only one other backpacker, on his way to the primitive campsite). Four hours of hiking in Jonathan Dickinson’s terrain, and one is thankful for cloudy days (or at least my Irish skin always is). 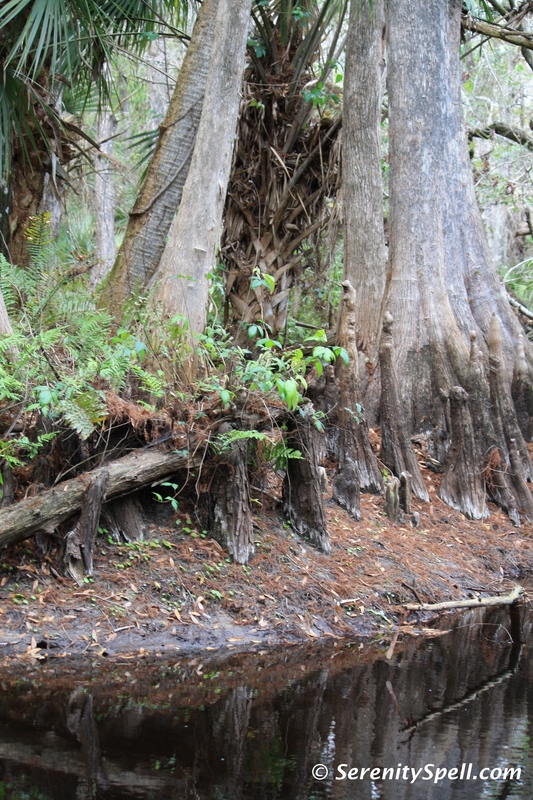 After passing stately rows of centuries-old cypress and live oak along the Loxahatchee River (into which the Kitching Creek flows), we headed into some lovely cypress swamps — always my favorite — before breaking out once again into the open pine flatwoods. Outside of the family of feral pigs (wild hogs) and myriad birds (we tried looking for the maniacal owl), it was somewhat quiet. But towards the end of the hike, I nearly stepped on a tiny, beautiful barking tree frog. Fortunately, s/he leapt straight in the air to avoid my lumbering hiking boots. 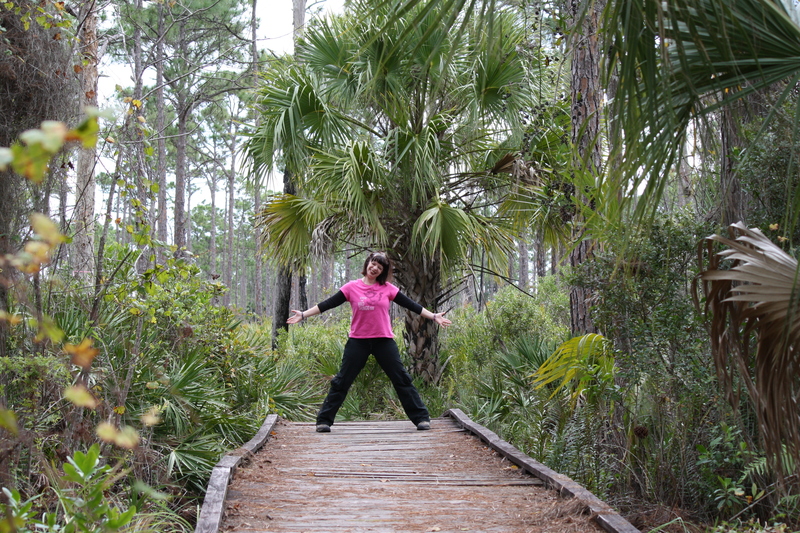 I was reaching exhaustion after those hours of hiking — I really, really need to return to hiking shape…. 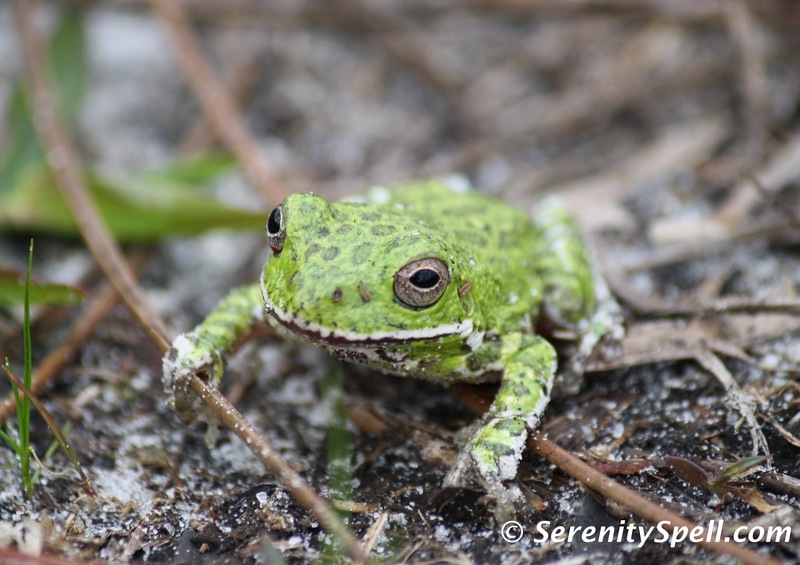 A tiny barking tree frog hopped out of the way of my lumbering hiking boot, clutching a twig for dear life…. 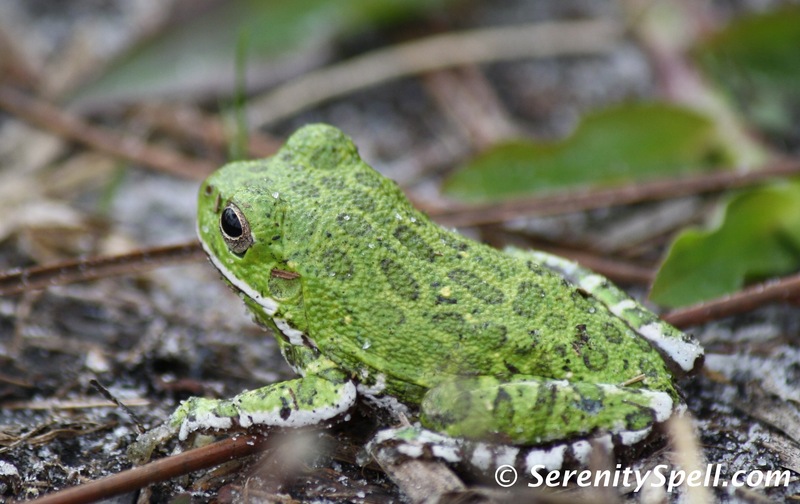 Beautiful markings on a tiny barking tree frog — safe and sound after s/he hopped out of the path! 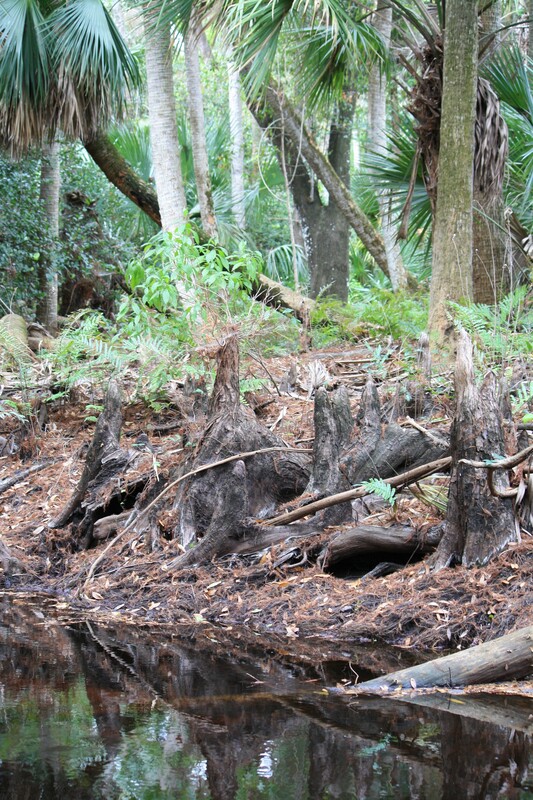 Jonathan Dickinson State Park offers an ideal exploration of natural Florida, providing a vast ecosystem filled with wildlife in 13 natural communities. 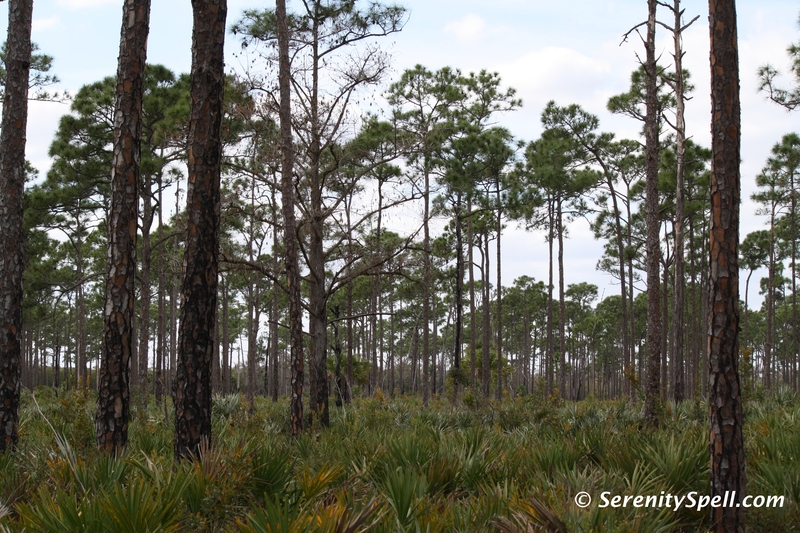 Sand pine scrub, pine flatwoods, mangroves, and cypress swamps cover the entirety of the park, nearly 20 percent of which is comprised of coastal sand pine scrub, an environmental community so rare that it’s been designated as “globally imperiled.” The Loxahatchee River — Seminole for “River of Turtles” — was federally designated as Florida’s first “Wild and Scenic River” in 1985, and runs through Jonathan Dickinson, originating in Riverbend Park to the south. 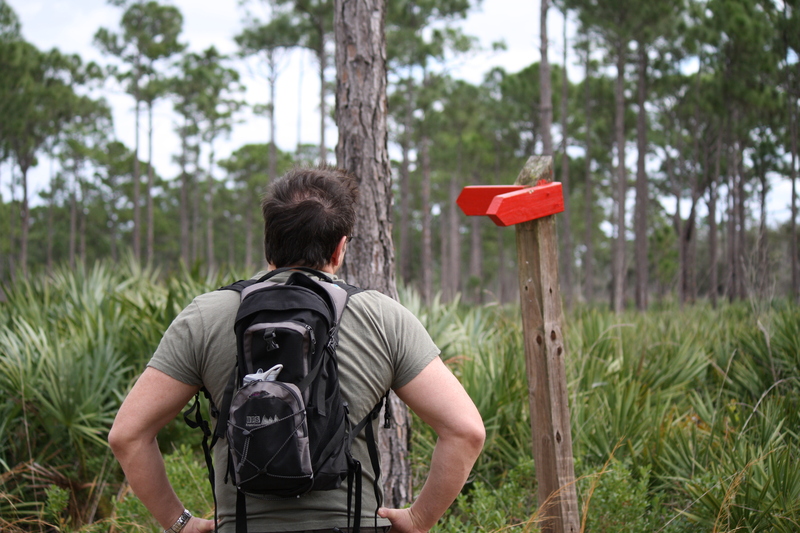 A portion of the Florida Trail winds throughout the park, but be sure to double-check its start points — they’ve recently altered one of them. It includes two interconnecting hiking loops — the East Loop and the Kitching Creek Loop (see trail guides within the links, below). Each are provided with their own primitive campsites — something we’d like to do while the weather holds. 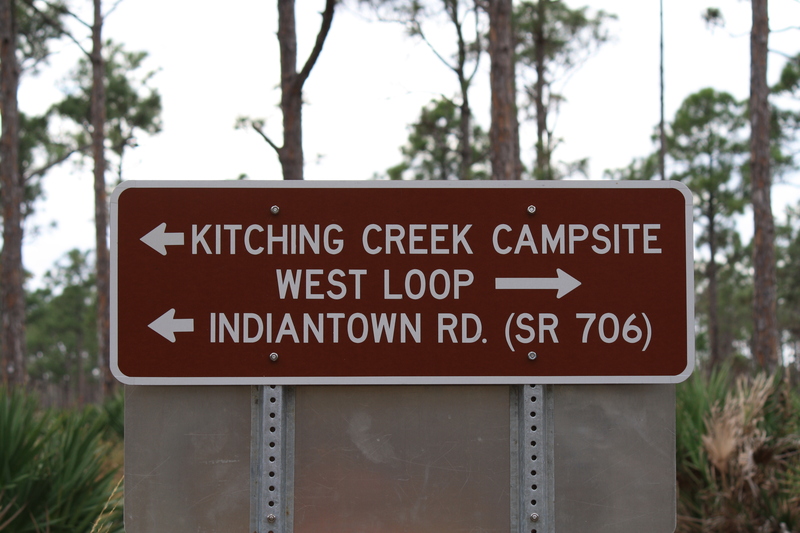 The loops are linked via a short connector trail through pine flatwoods, and are popular with hikers and backpackers due to the fact that they’re the furthest campsites from the park’s entrance. The total hiking distance for both loops is 17 miles. 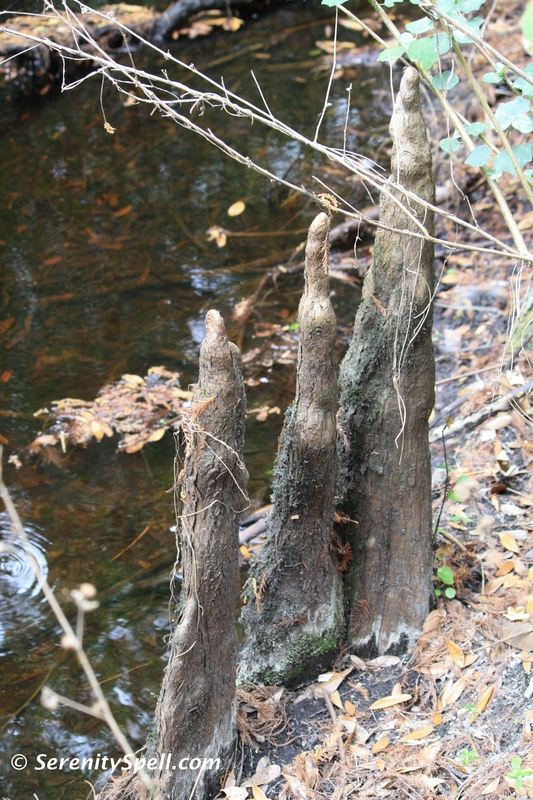 While we haven’t yet done both simultaneously, we’ve done them separately — and we’re in the process of investigating the portion of the Florida Trail leading to Riverbend Park. It was a perfect day for such an exploration — overcast. Four hours of hiking Jo nathan Dickinson’s terrain, and one is thankful for cloudy skies (or at least my Irish skin always is). 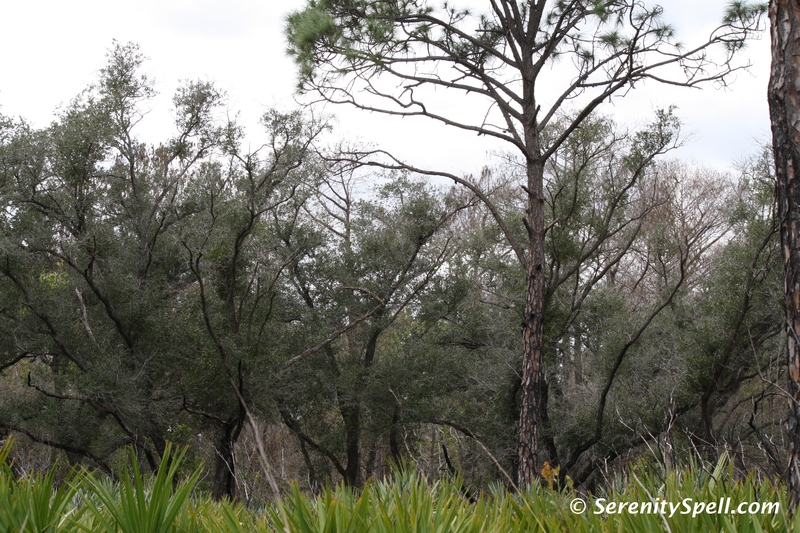 After passing stately rows of centuries-old cypress and live oak along the Loxahatchee River (into which the Kitching Creek flows), we headed into the lovely cypress swamps — always my favorite — before breaking out once again into the open pine flatwoods. We only saw one other backpacker on his way to the primitive campsite, in the late afternoon — outside of the family of feral pigs (wild hogs) and myriad birds (we tried looking for the maniacal owl), that is. We’ll definitely be returning to complete the hike, and soon. 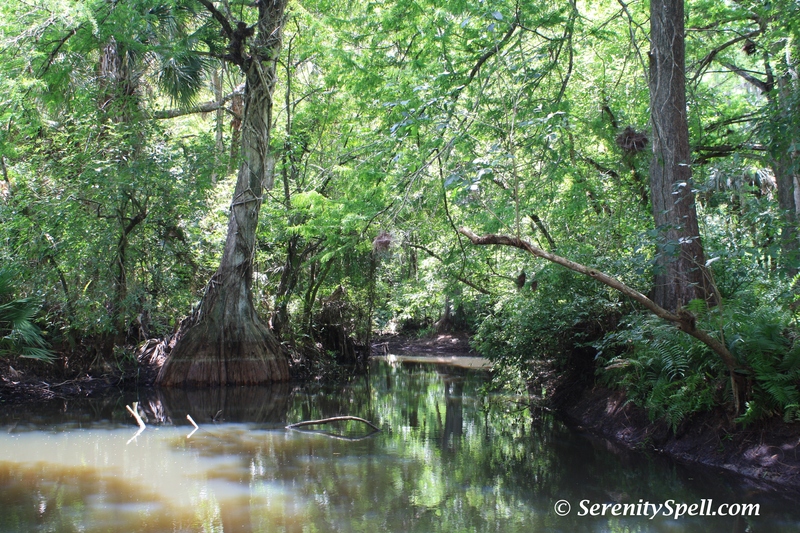 Within Riverbend proper, besides the nearly 10 miles of hiking and biking trails, there are 7 miles of equestrian trails, and 5 miles of canoeing/kayaking trails — leading you through an otter preserve, and all the way to JD as mentioned. 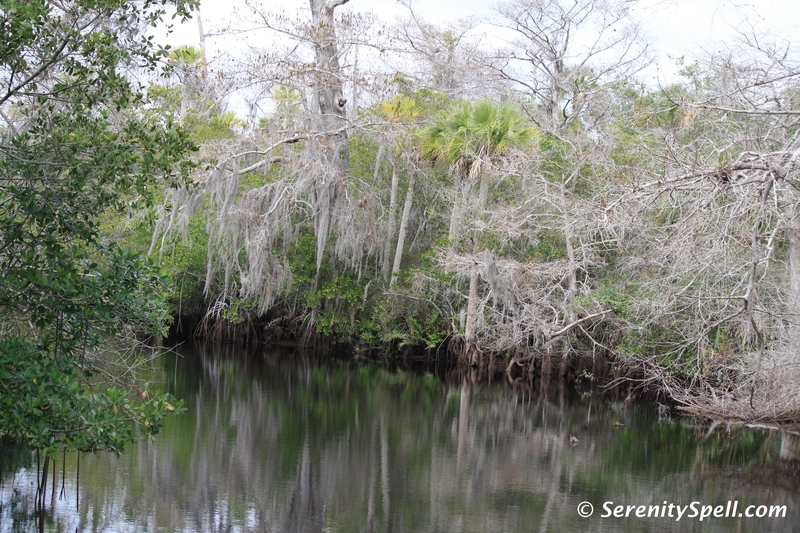 What I especially love about this park is its significant and rich history: Habitation has occurred along the Loxahatchee river dating as far back as the Archaic Period, 5,000 years ago. 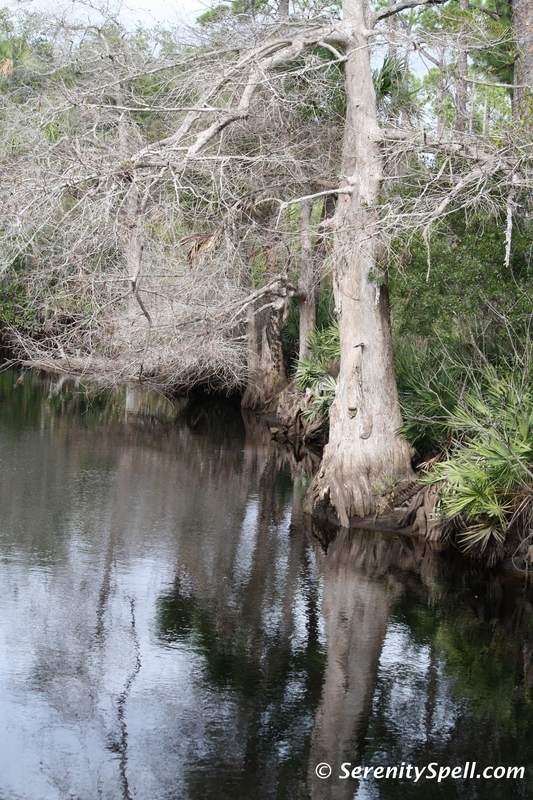 The first battle of the Loxahatchee, referred to as Powell’s Battle, took place on January 15, 1838. The second battle of the Loxahatchee — Jesup’s Battle — occurred nine days later on January 24, 1838. Outnumbered 1500 to 300, the Seminoles fled into the swamps. 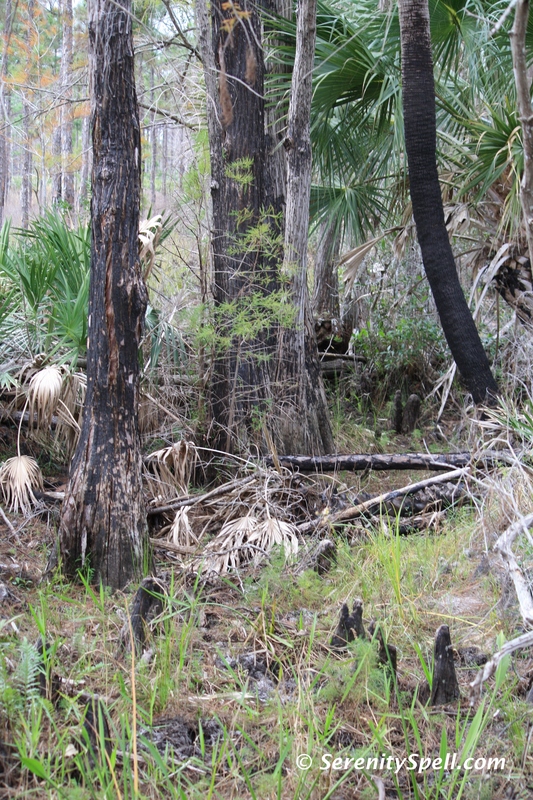 After the Battle of the Loxahatchee, Jesup petitioned Washington to allow the Seminoles to remain in the Everglades, effectively ending the war. Washington denied his request, and 600 Seminoles were captured at Fort Jupiter. 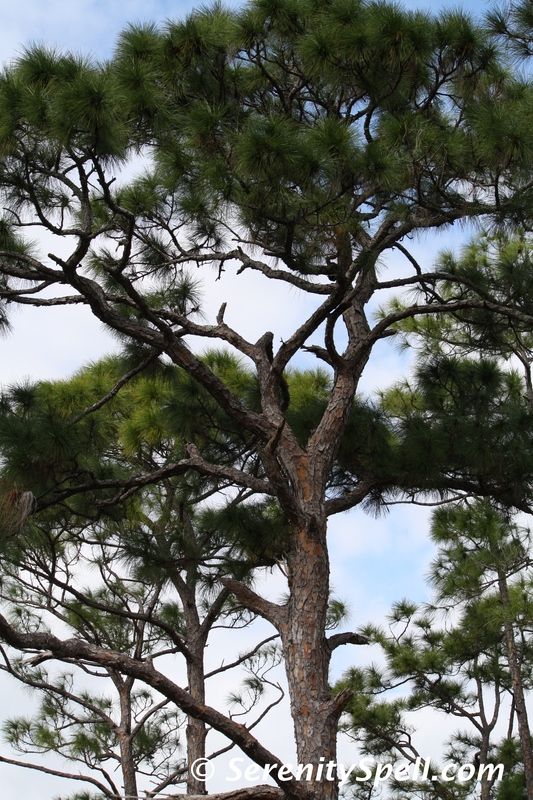 From its ancient Indian middens, through the tragic Seminole War Battles, to its impressive present-day restoration efforts, tremendous respect should be given to this land and its history. 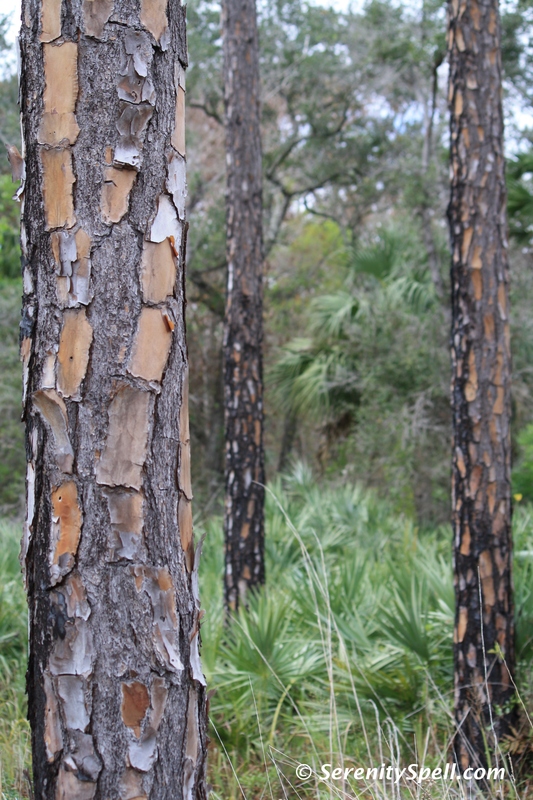 Habitats include beautiful pine flatwoods, open meadows, cypress swamps, oak hammocks, and even abandoned — but still fruit-bearing — orange and grapefruit groves. 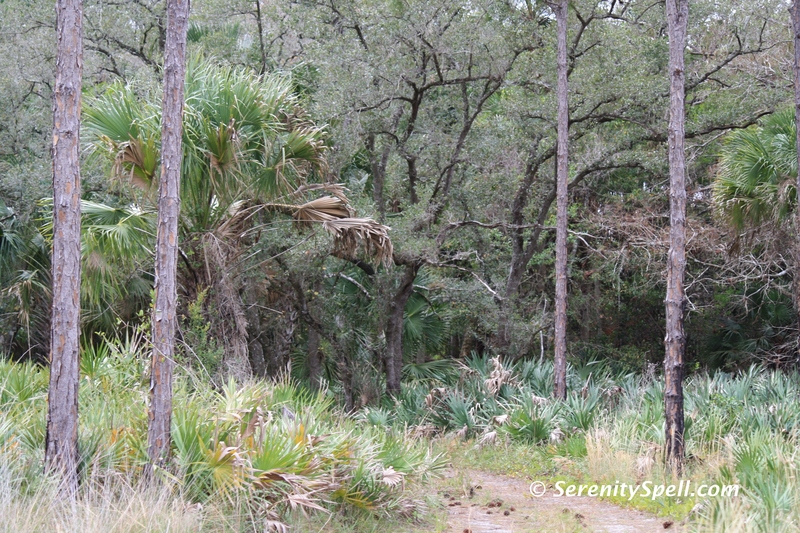 It can become busy on the weekends, so if you’re able to visit on a weekday during the quieter hours, it’s much more peaceful (or, visit the less-traveled Florida Trail extensions). 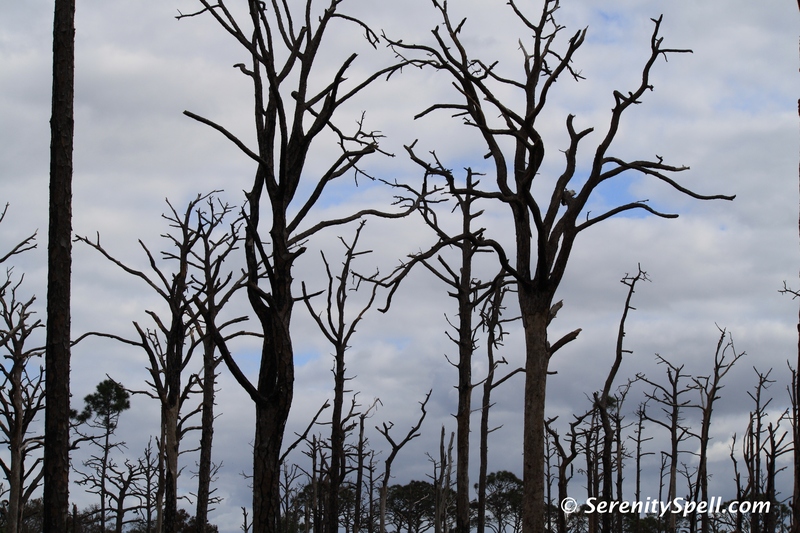 We’ve seen great horned owls, red-shouldered hawks, deer, alligator, wild turkey, peacocks, gopher tortoises, and otter during such off-times. We’ll picnic here, along the river or within park in the chickee huts, before our hikes. 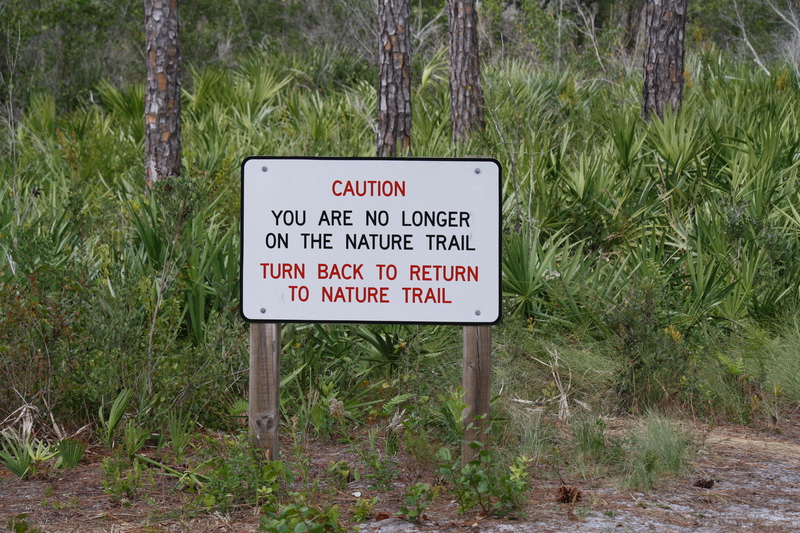 As always, bring extra trash bags, in case there are no cans in sight until the park’s entrance. (Although here, that’s not such a problem.) We often pick up others’ trash along the way, anyways.